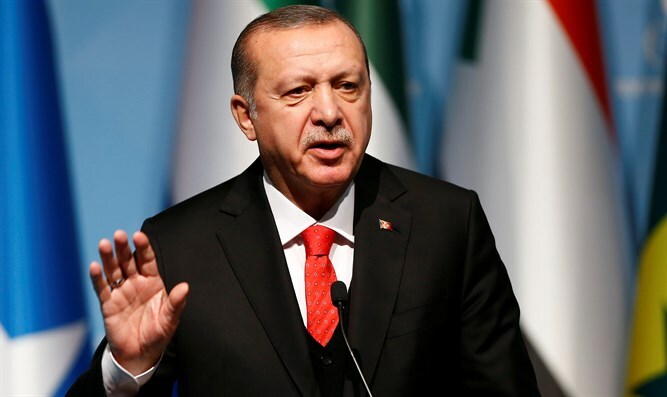 "This measure has shown without leaving the slightest room for doubt that Israel is the world's most Zionist, fascist and racist state," Erdogan Tuesday said in a speech to his ruling party, according to AFP. He claimed there was "no difference between Hitler's obsession with the Aryan race and Israel's understanding that these ancient lands are meant only for Jews." “We reject the decision to proclaim Jerusalem as the capital of Israel, as well as the decisions to create new settlements aimed at the systematic stripping of Palestinians from their land, and the Israeli government's attempts to establish an apartheid state,” spokesman Ibrahim Kalin tweeted. The law codifies Israel as the nation-state of the Jewish people in Israel’s Basic Law, granting Hebrew status as the sole official language while giving Arabic special standing. A controversial clause, “Article 7,” was amended following claims that it was discriminatory for permitting some communities to restrict housing sales and rentals to certain sectors of the population. Critics of the move, such as MK Betzalel Smotrich (Jewish Home), claimed that amending Article 7 emptied the Nationality Law of practical content.